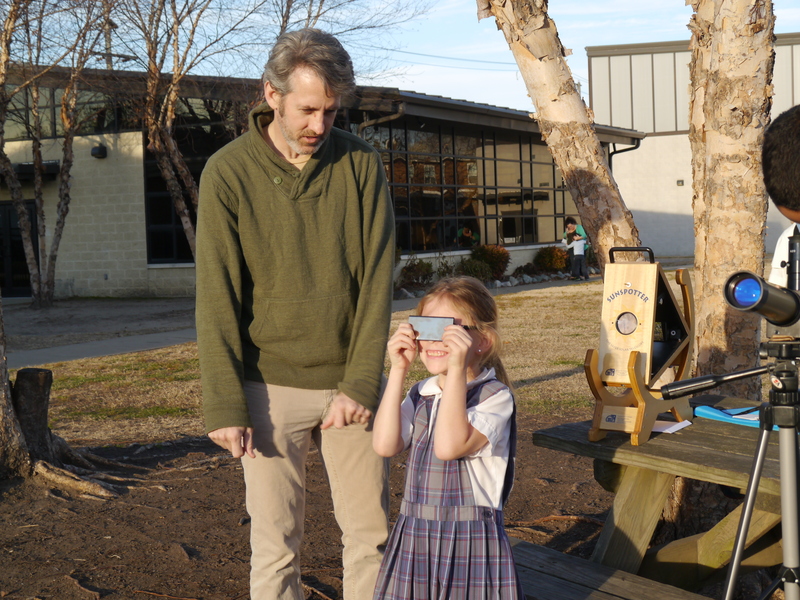 APS and CAS faculty member Dr. William Moore visited nearby Saint Mary Star of the Sea School in Phoebus on December 18. 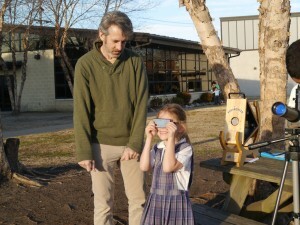 Two dozen students in the Science Club from K through 5th grade were treated to good views of our neighborhood star, the Sun, using welding glass, a Solar projector, and a Solar telescope. 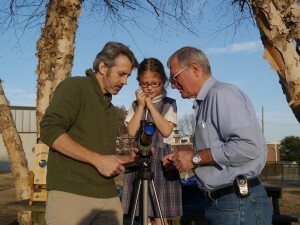 Students were able to observe several sets of sunspots, filaments and prominences, and even the occasional duck. Students were also very excited to observe a sun dog, a small rainbow-like feature caused by refraction of sunlight that occurs in high-altitude clouds made of ice crystals. St. Mary Star of the Sea is a K-8 Catholic elementary school located in Phoebus and specializing in Marine Science. Students observed the sun through a special Solar telescope that allowed them to see spots, prominences and filaments. Students used welders glass to observe the Sun directly. 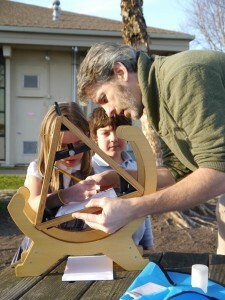 Dr. Moore helps students trace an outline of the Sun in the Solar Projector.